Photo Credit: District 14-U Lions / Pictured here are Dennis Schock, Tweedle Park Pres., Lion members Christine Embick, Bonnie Urban holding ‘Angel’, Nick Urban, Charlie Hettler, Del Embick and Teresa Kairewich. 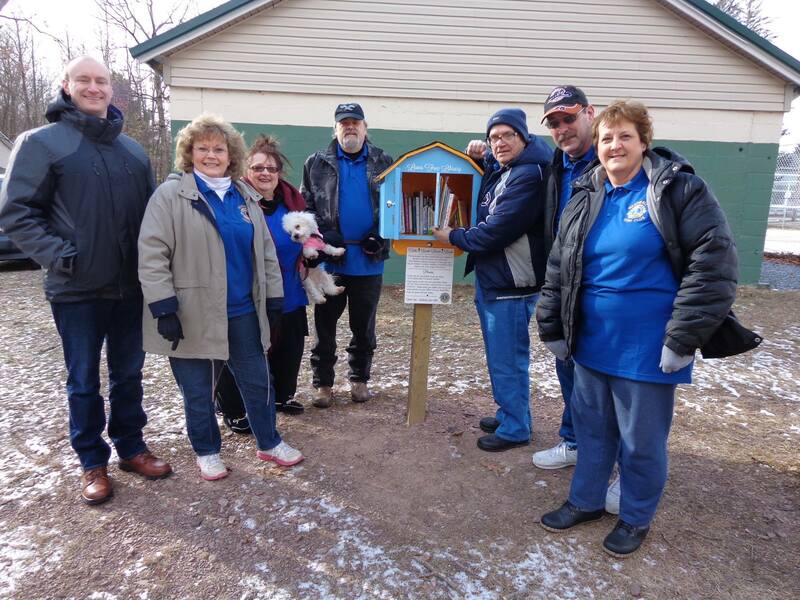 Weatherly Lions donated two “Little LIONS Box Libraries” to Eurana Park and Tweedle Park in Weatherly Borough. 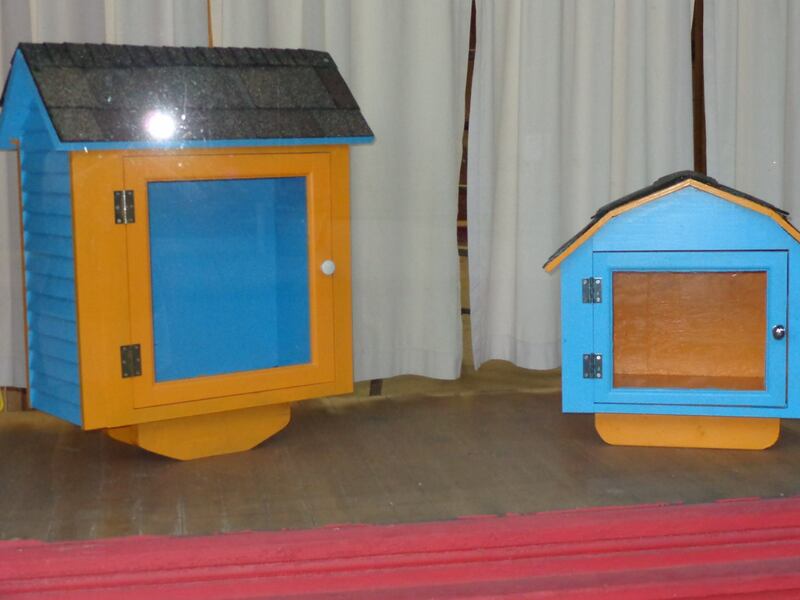 In cooperation with local craftsmen and businesses, and permission of the Borough and the Tweedle Park Association. Lions will place a free library at each park for the public to use at any time. The idea is simply to Take a Book & Leave a Book. There is no time limit on how long you may keep a book and no fee for bringing it back late. Lions have already placed the first library at Tweedle Park and have filled it with a variety of books, mostly for children at this point. Other appropriate reading material for all ages will be added over time by club members. The Eurana Park library will be placed soon by Borough crews when the weather breaks. Anyone is encouraged to stop by with their children or grandchildren and check it out.